Dr.Girish Gupta, recipient of many national and international awards, also a member of Central council for Research in Homoeopathy had presented many cases with evidence-based documentations. 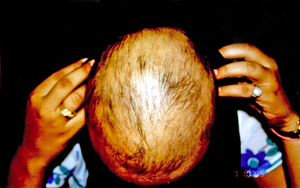 Here we give a case of Alopecia Totalis presented by him. He has a scientific approach with determination to do "Something Significant" and redefine Homoeopathy on modern scientific lines. This case had been treated recently and he shares his experience with all. · Followed by placebo for eight (8) weeks. 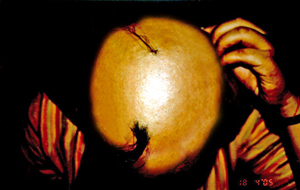 · Slight growth of hair was observed on scalp. · Placebo was repeated for six (6) weeks. · No further growth of hair was observed. · The dream of unsuccessful effort to do various things continued. (which covers this dream and also has strong affinity for hair diseases). · Remarkable growth of hair on scalp was observed. · No anxiety was reported by the patient. · Acid phosphoricum 30 was repeated for four (4) weeks. · Marvelous hair growth was observed on scalp. · Patient was quite happy. · Observing gradual improvement of the patient Placebo was given for nearly twenty (20) weeks on different visits. 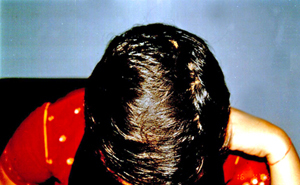 · Full growth of hair on scalp was attained within a year of treatment. · No recurrence is reported till date.